This FREE event is open to families living with autism in-and-around the community of Kelowna, and families do not require a CAN membership in order to attend! Skates rentals will be provided, and participants must bring their own helmets – those under the age of 19yrs must wear a helmet on the ice. 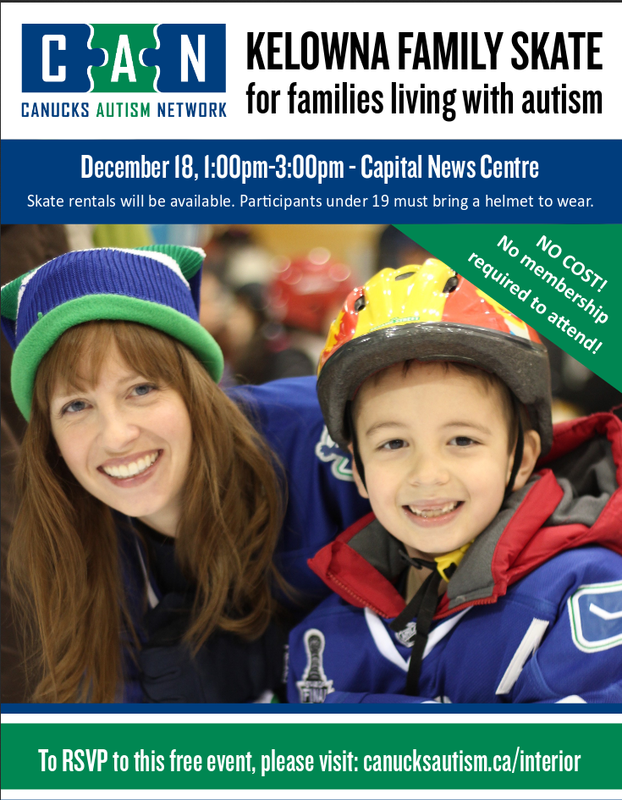 Please RSVP through the form at www.canucksautism.ca/Interior by December 16th at noon. This entry was posted on December 18, 2016 by ACT.